Patti enjoys working her magic in five recent episodes of Ghost Adventures and their new spinoff Deadly Possessions on the Travel Channel, Jeff Lewis’s Flipping Out, some magickal cooking on Master Chef with Gordon Ramsey, conjuring up a few “dead celebrities” on Private Chefs of Beverly Hills, Beverly Hills Pawn and several episodes of Pit Boss and an upcoming Bad Girls Club. Patti was brought in as a paranormal expert on Ghostly Lovers, Candidly Nicole, Mansion Hunters, Beverly Hills Pawn and dozens more. She has even gotten into the home makeover world on Mobile Home Disaster. 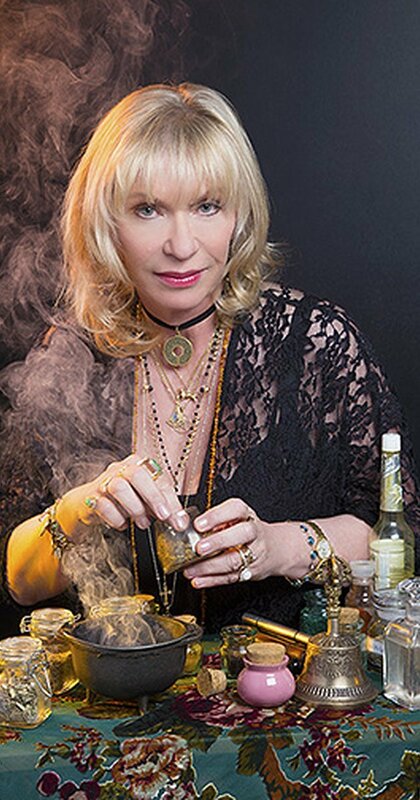 In addition to being a host of PSYCHICS GONE WILD on Blogtalk Radio, Patti has been heard on national syndicated radio with Adam Corolla, Jason Ellis and Mancow Muller. Patti is delightfully & deliciously entertaining! She is the scene stealing queen on my favorite Ghost Adventurers episodes. Even my husband (who hates ghosts & doesn’t believe in psychics!) loves to watch Patti doing casting her magical mojo on the small screen.